In 1927, Milwaukee became home to the first Alpha Sigma Nu alumni club. Named in honor of Rev. John Danihy, S.J., who founded the Jesuit Honor Society at Marquette University in 1915, the Danihy Alumni Club has now grown to more than 1,700 members in the southeastern Wisconsin region. Membership in Alpha Sigma Nu is the highest honor a Jesuit institution can bestow upon its students, and as recipients of this honor we have a special responsibility to uphold the values of our education. Scholarship, loyalty, and service are not things we left behind on graduation day - they continue to live with and through us as we develop our careers and personal lives. The Danihy Club annually sponsors a spring Mass and Awards Brunch at which we recognize an Alumnus of the Year and Young Alumnus of the Year. The awards promote community awareness of the achievements of Alpha Sigma Nu alumni who exemplify the values of scholarship, loyalty and service. These award winners serve as role models for student chapter members. Nominations can be sent to danihy@alphasigmanu.org. 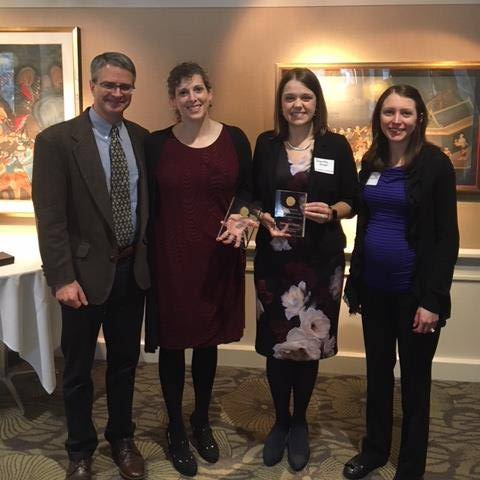 In addition to the annual Mass and Awards Brunch, The Danihy Club collaborates with the Marquette University student chapter and other university organizations focusing on Ignatian spirituality, service projects and mentoring of students. For events, photos, and more information about the club, check out their facebook page.